If human eyes could examine the world on the atomic level, they’d witness a competing collection of tiny particles joining together, reacting or fortifying one another, or otherwise interacting in a myriad of ways. Steel alloys can have a fascinating variety of chemical compositions. As mixtures, steels can contain numerous metals or other elements that establish their qualities or purpose. Microscopically, these characteristics are clearly exhibited. To the naked eyes of many end users of the popular metal, however, steel is likely just steel. 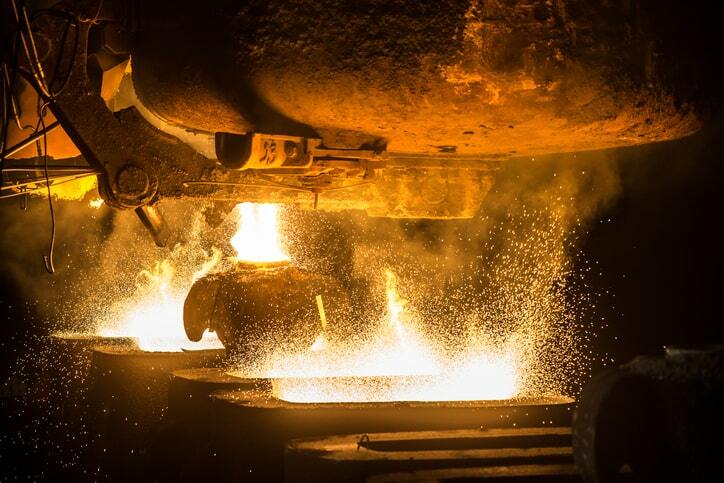 Killed steel is steel that has been treated with a strong deoxidizing agent—typically silicon, manganese, and aluminum, but also sometimes vanadium, titanium, and zirconium. This treatment reduces the oxygen content so that, during solidification, no reaction occurs between carbon and oxygen. This characteristic is useful for various purposes, and common practices and standard specifications are surely formed with awareness of this. In ASTM A106/A106M-18: Standard Specification for Seamless Carbon Steel Pipe for High-Temperature Service, it is stated that, in compliance with the standard, “the steel shall be killed steel, with the primary melting process being open-hearth, basic-oxygen, or electric-furnace, possibly combined with separate degassing or refining.” This guideline is necessary because steel used in high-temperature service benefits greatly from the inability to react with oxygen. Killed steels are used in various steel treatments, including alloy steels, forging steels, and carburizing steels. Because there are few, if any, gas voids on the ingot, killed steels suffer from pipe shrinking defects. A common alternative to killed steel is rimmed steel, which is characterized by marked differences in chemical composition across the section and from top to bottom of the ingots. This is due to the steel from which the ingots are made not being fully deoxidized during casting. Rimmed steels are commonly used for the production of steel sheets and plates. Semi-killed steel is considered an intermediate between killed and rimmed steels, and it is marked by variable degrees of uniformity in composition. If you have any questions regarding standards for steel, metals, or piping, or are interested in finding a particular standard, please do not hesitate to reach out to us at blog@ansi.org, message us on Facebook, or tweet at us @ansidotorg.